Our Complete Body Test is an exclusive comprehensive view of your allergies and intolerances giving you a broad insight into possible causes to your symptoms. effectively. The blood allergy analysis includes: Wheat, Peanut, Egg White, Rice, birch and grasses, Potato, Cod, Shrimp, Tomato and Meat. The blood intolerance analysis includes: Gluten, Wheat, Peanut, Egg, Rice, Garlic, Onion, Banana, Cod, Salmon, Chicken, Potato. A full list of the 120 food & inhalant items can be found in the details box further down. Our Complete Body Test analyses your blood sample against a variety of the most common allergies and intolerances to give you accurate results within 7 days. The 40 allergens tested include nuts, seafood, egg, a variety of pollens and pet hair. The 80-item intolerance test includes fruits, vegetables, dairy items, and our most requested item: gluten. For the full list, please click on the tab ‘Items We Test For’. 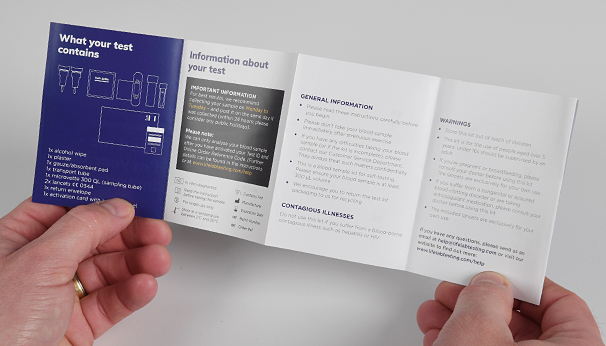 Your kit is posted out immediately on purchase and includes full video instructions on how to take your blood sample. The simple kit can be carried out on yourself. You can then use the free post envelope to send your sample back to the lab, where it is tested against the intolerance and allergen items. Allergies and intolerances can cause a variety of painful symptoms like: Headaches and migraines, stomach pain or bloating, diarrhoea or vomiting, swelling of the face/ lips or itchy mouth/ throat Rashes, hives and breakouts, And many more. 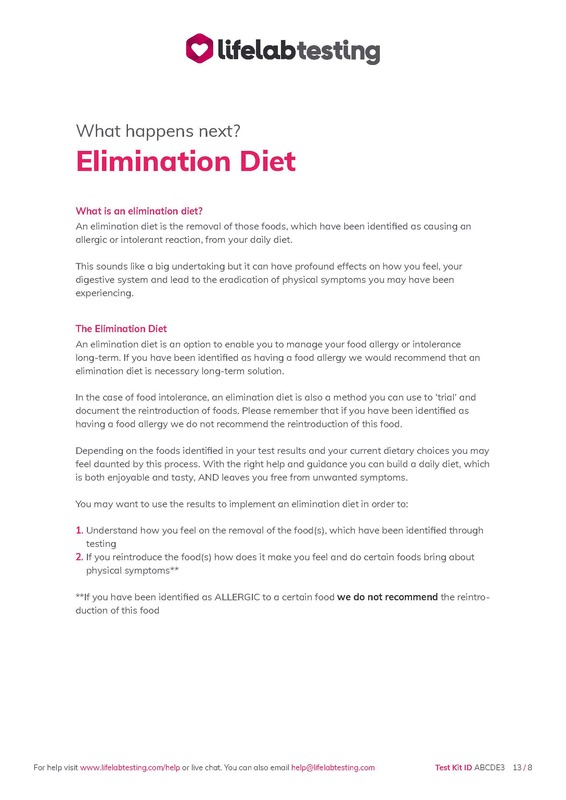 Your results are then generated into a bespoke report, which includes a comprehensive explanation of the items tested and your intolerance levels, as well as whether you have allergies to those items. No further payment for your results is required. The comprehensive report includes a helpful information guide, such as nutritional recommendations and suitable substitute foods. 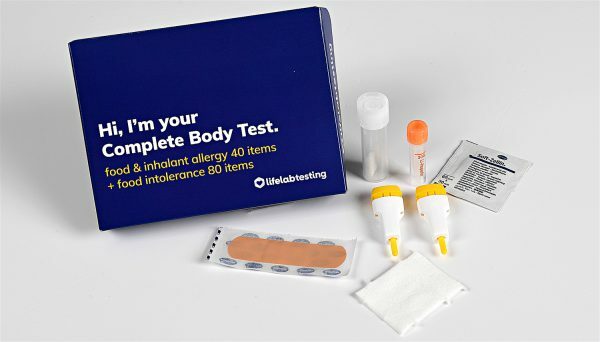 To gain the maximum understanding of your health, the Complete Body Test includes the most common food and non-food items, which cause allergic reactions and intolerance symptoms. There are two distinct areas of testing we carry out in our laboratory; IgE, for allergies and IgG4, for intolerances. 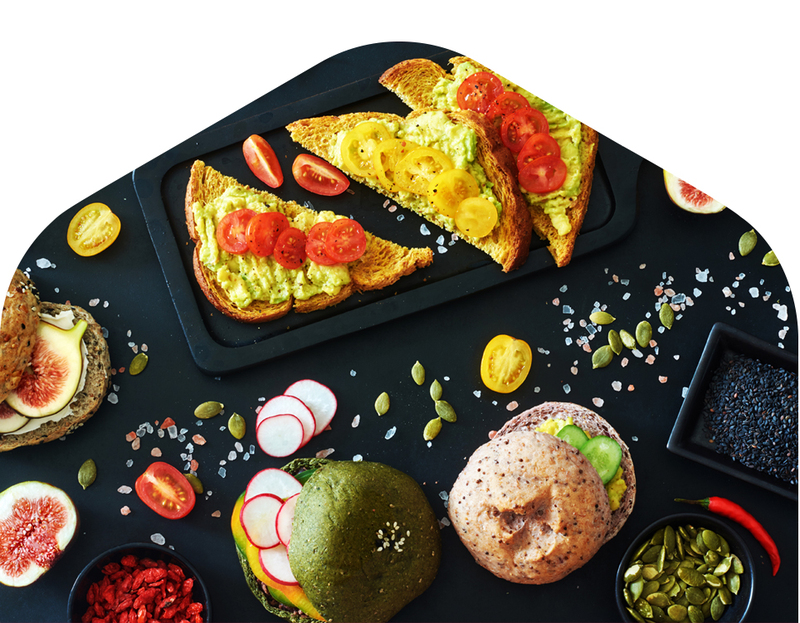 If you require any further information, we have a fully trained customer service team who can talk you through your purchase, explain the results further or can put you in touch with our BANT qualified nutritional therapist to help you get the most out of your results. Expert Nutritional Therapist Advice: On receipt of your test results we offer you one 30-minute consultation with one of our nutritional therapists. 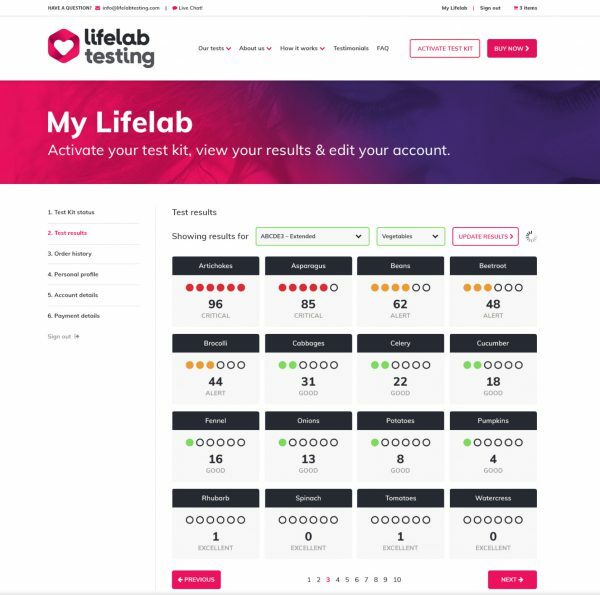 You can use this support to help you implement your test results into your diet and lifestyle. With professional advice, you can build a daily diet that is enjoyable, sustainable and nutritious. Why take a Complete Body Test? Allergy and intolerance testing allows you to understand whether physical symptoms you’ve been experiencing could be linked to the foods you are eating or your environment. Your results, which will be available to you in just a couple of days, give you the vital information you require to start making changes and feeling better.